Our previous experimental study of perforated peritonitis in rats proved that peritoneal lavage with strong acid electrolyzed water (SAEW) has no adverse effects, reduces the bacteria count in the ascitic fluid more effectively than saline, and increases the survival rate significantly. Thus, we conducted a randomized controlled study, applying SAEW in the treatment of perforated appendicitis in children. Forty-four patients, aged 3–14 years, were randomly divided into two groups: Group S (n = 20), in which the peritoneal cavity was lavaged with 100 ml/kg saline and the wound was washed out with 200 ml saline; and Group E (n = 24), in which the peritoneal cavity was lavaged with 100 ml/kg SAEW and the wound was washed out with 200 ml SAEW. No adverse effect of SAEW was observed in Group E. There was no difference in the bacterial evanescence ratio of ascitic fluid after lavage between Groups S and E (11.1 and 15.8 %, respectively). A residual abscess developed in one patient from each group (5.0 and 4.2 %, respectively). 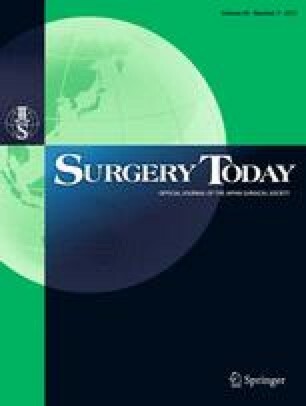 The incidence of surgical site infection (SSI) was significantly lower in Group E than in Group S (0 and 20 %, respectively; P < 0.05). There was no difference in the duration of pyrexia, positive C-reactive protein, leukocytosis, or hospital stay between the groups. Peritoneal lavage and wound washing with SAEW have no adverse effects and are effective for preventing SSI. Presented at the 46th Annual Meeting of the Pacific Association of Pediatric Surgeons, 8–11 April, 2013, Hunter Valley, NSW, Australia. We thank the Functional Water Foundation (Tokyo, Japan) for providing the scientific information on strong acid electrolyzed water. Akio Kubota and his co-authors have no conflict of interest.